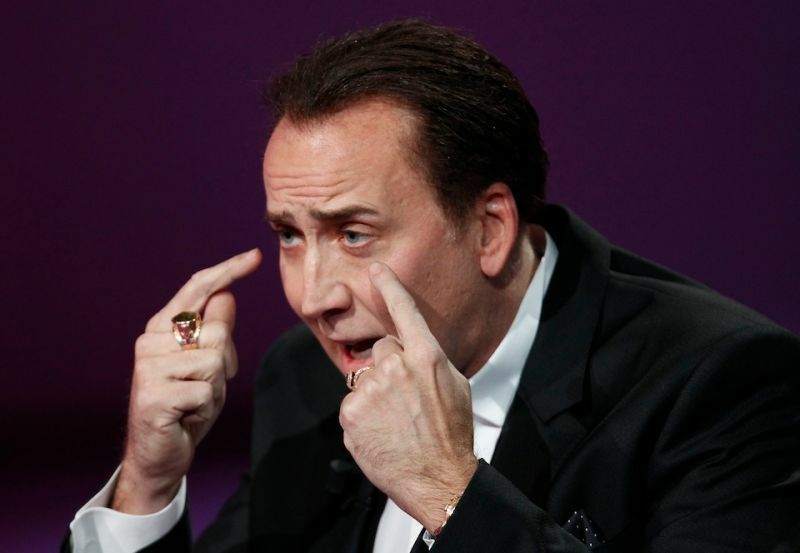 Take shelter, Baton Rouge, Louisiana: Nicolas Cage — whose impressive résumé includes such masterpieces as National Treasure 2: Book of Secrets and Ghost Rider — is coming to town. The actor and former castle collector is in talks with director Vic Armstrong about doing some dramatic facial expressions—including, but not limited to, furrowing his brow and squinting his eyes—in the remake of Left Behind, a religious/political book trilogy by Tim LaHaye and Jerry B. Jenkins. The series is based on the End of Days and the Rapture, or as may 20-somethings know it, that thing that inspired bars across America to offer really good drink specials. The first movie in the series will take place just a few hours after the Rapture, and focus on a group of survivors, which will presumably but also shockingly include Cage.